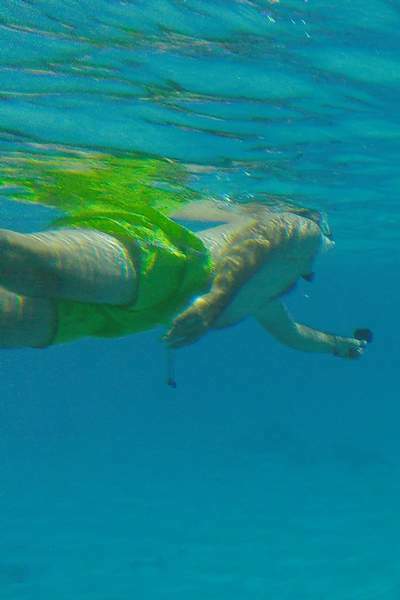 During your stay in Bora Bora, spend a morning or afternoon with us as we take you to the best snorkeling places this lagoon tour has to offer. This snorkeling lagoon tour starts with us picking you up at your place of accommodation, and lasts approximately 3.5 to 4 hours. We have carefully selected 3-4 different places in the lagoon for you to discover. 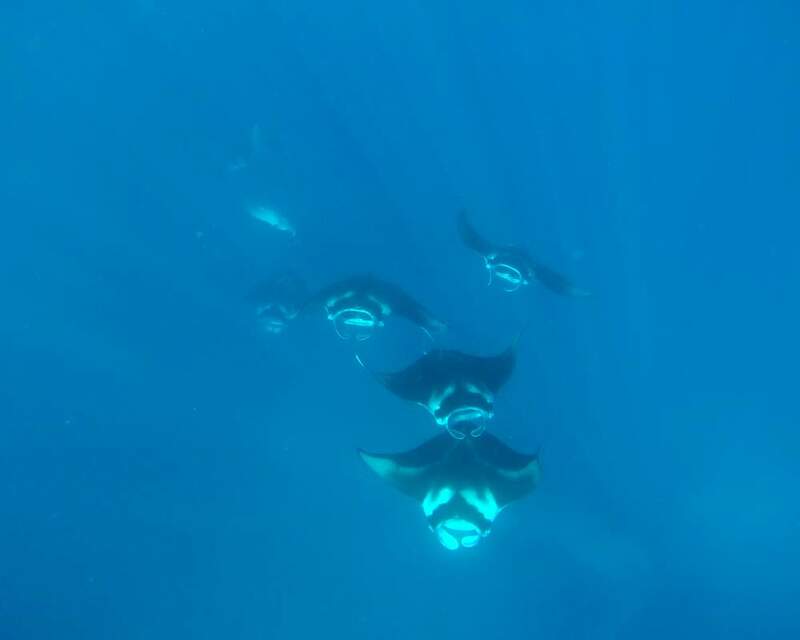 Here, you will have the opportunity to see manta rays, eagle rays, a beautiful coral garden full of butterfly fish, surgeon fish, barracuda, clown fish. 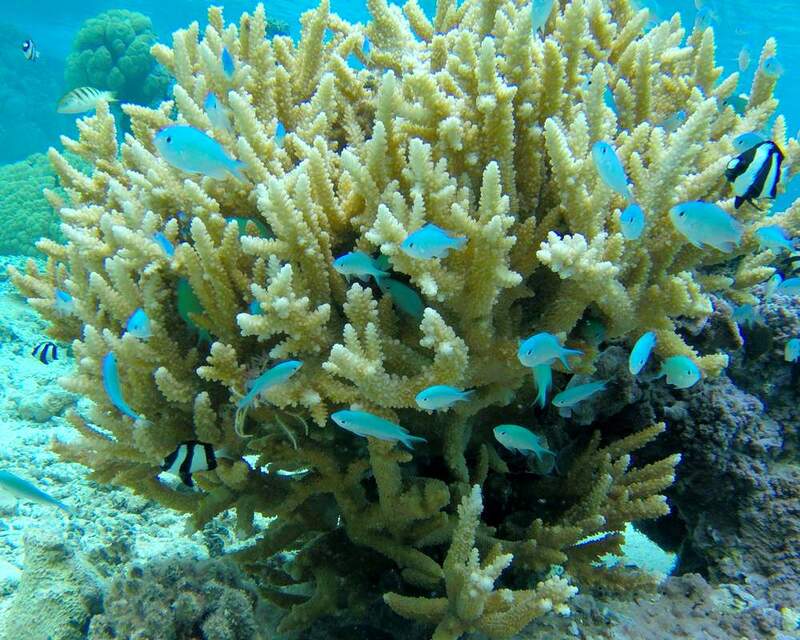 morey eels, parrot fish and many other amazing tropical marine life. 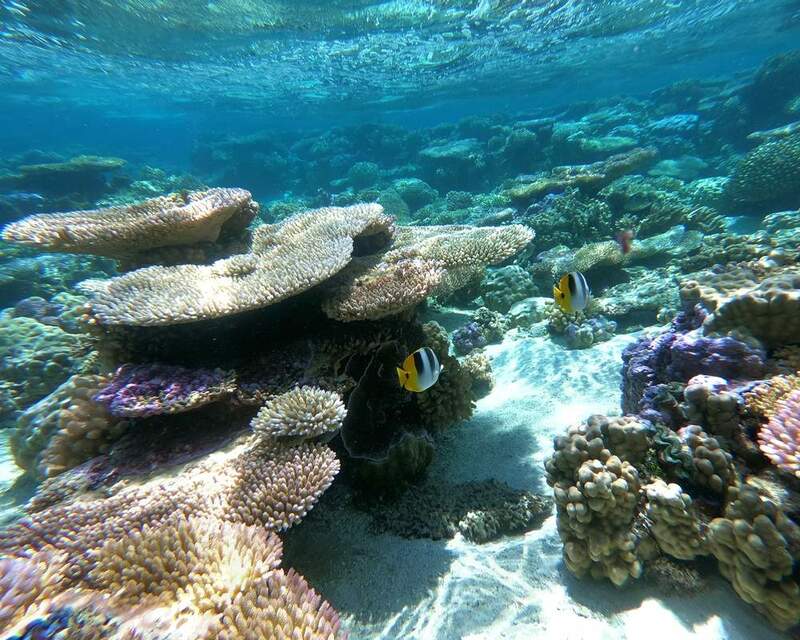 We will also take you outside the reef to observe the barrier reef with its breathtaking, colorful assortment of fauna and flora and if we are lucky, we just might see some dolphins on the way! 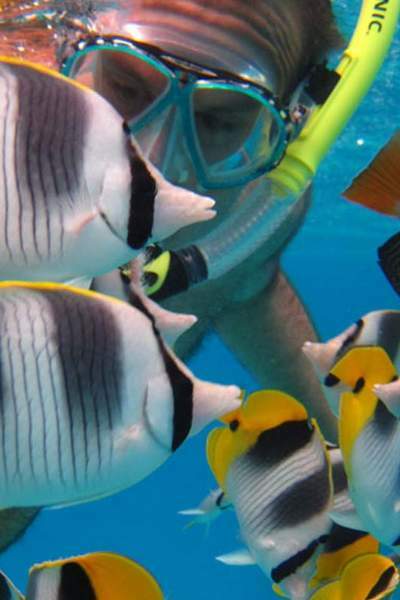 Your guide will decide where to snorkel for the day based on the weather and swell conditions. We are here to make your time with us safe and pleasurable. All snorkeling equipment is provided for you, towels and light refreshments and snacks are also readily available for your comfort. 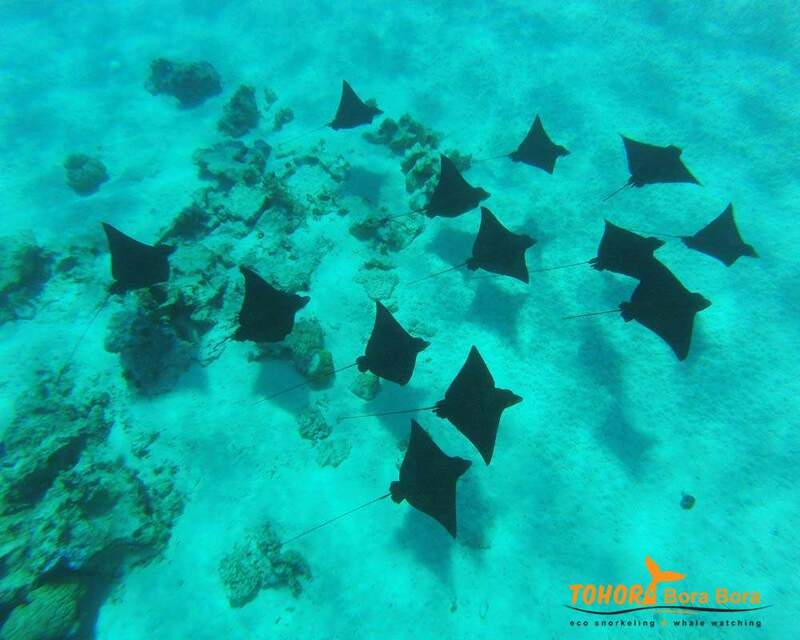 Simon (owner and founder of Tohora Bora Bora) and his crew have over 15 years of experience in the approach and observation of the marine life of Bora Bora. 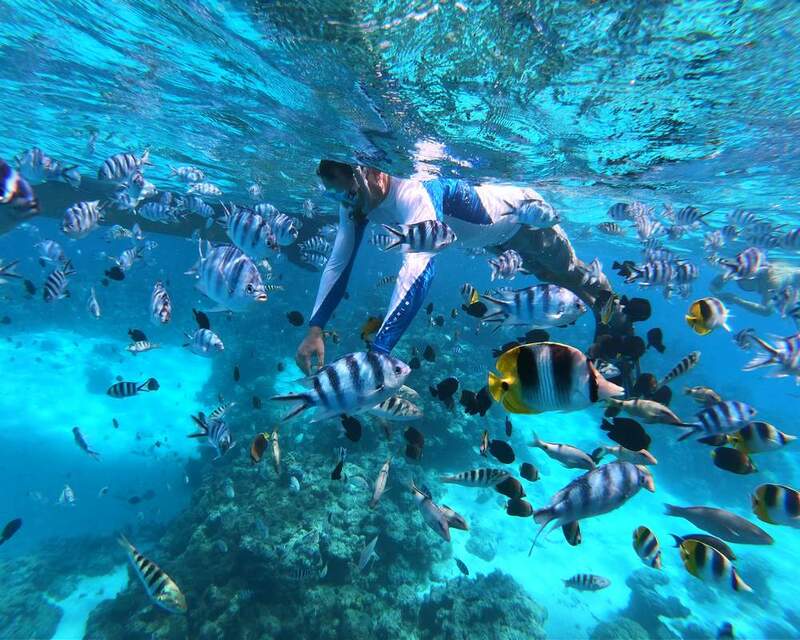 Tohora Bora Bora has the utmost respect for environment that makes French Polynesia so beautiful. We are here to share this with you! Join us !